As a gift, a longtime friend of mine purchased the newest World Of Warcraft expansion – Legion – for me, as he knew how much I have running around and battling fiendish hordes in previous expansions. I quickly jumped in and got addicted to a whole new continent of content and exciting “go kill this thing” quests. In the previous expansion, Warlords of Draenor, there was a new feature called Garrisons where you had NPC followers that would go do their own adventuring at your command and you would need to check on them every few hours when their missions were concluded to reap the rewards. Unfortunately, this meant that you had to log in every few hours to maximize your followers’ output. You also had to move your character to the garrison location which interrupted whatever quest you may have been on. This meant a significant time investment that made many players feel frustrated and tied to their garrison. 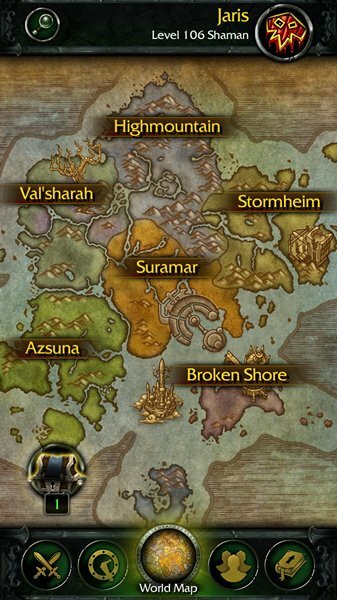 The logic of “Why leave my garrison when I need to be back here in 30 minutes so I can complete the current mission and start yet another one?” permeated through the expansion’s almost 2 -year lifespan. Legion released on August 30th of this year and instead of Garrisons, characters are now ushered into their own Class Halls. These are large themed areas where you will ignore the riffraff of other classes and exclusively pal around with fellow Shaman, Rogues, Druids, what have you. Among the diversions within the class hall, there is a variation on the Warlords of Draenor follower system where you now have “Champions” and “Troops”.Troops are limited-use followers that assist your champions on missions that will get you items, gold or XP while you go do more important things. This would quickly become cumbersome, but Blizzard has rolled out a companion app that allows you to remotely manage these missions and followers. This isn’t just a “check in and see how much time is left” toy, it is a full-featured app that feels more a necessity than a luxury if you are not able to play WoW 24/7. (AKA an adult with some semblance of a life) You quickly set up or complete missions, recruit more troops, check or advance your class hall upgrades and essentially micromanage without being at a computer. The app is brimming with flavor, where Blizzard could have just made a simple boring interface, the app feels like an extension of World of Warcraft from the sound effects to the transitions to the notifications that wake you up at 2 in the morning to complete a mission. It appears the timed mission notifications are client-side, not server. This means if you are waiting 45 minutes for a mission to be completed, in 45 minutes you will get a notification that your mission is complete whether you have an internet connection or not, whether you are logged in or not. This is what caused us to die horribly during a boss fight. I thought I could manage my missions while questing. Apparently not. This app is exactly what World of Warcraft needed in the last expansion to really make you feel in control of your garrison, and it works fantastically with class halls. It keeps me invested and interested to see what’s next. First is the frequency with which I must re-log in. It seems if there is a network change (wi-fi to LTE for example) and you launch the app, it wants you to log in. Considering I have a 13-character password I generated by slamming my face into my keyboard multiple times and copying something from there, this becomes a bit of a nuisance. Plus you need to use your authenticator that everyone should have. Second, it is a standalone app. 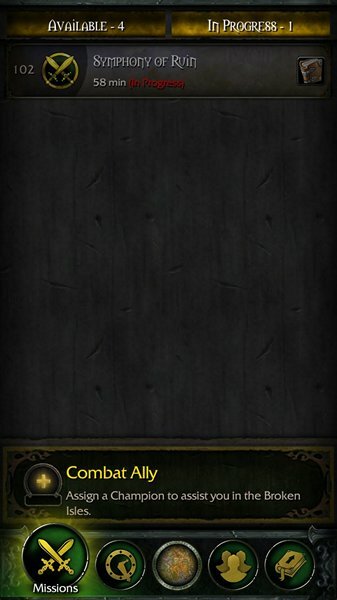 I don’t fully see why this couldn’t have been rolled into the World Of Warcraft Armory app. I can manage auctions and guild chat there, but have to switch over to a separate app to do my legion missions. Maybe Blizz explained it and I will be corrected vigorously on Twitter over this, but it just feels like it didn’t need a specific app when there is a perfectly good Armory app as it is. Considering my phone has Hearthstone, Battle.net Mobile Authenticator, Legion and WoW Armory, that’s a significant amount of home screen real estate to dedicate to one company’s products. Other than a couple of gripes, this app does exactly what it says on the label, and does it well. 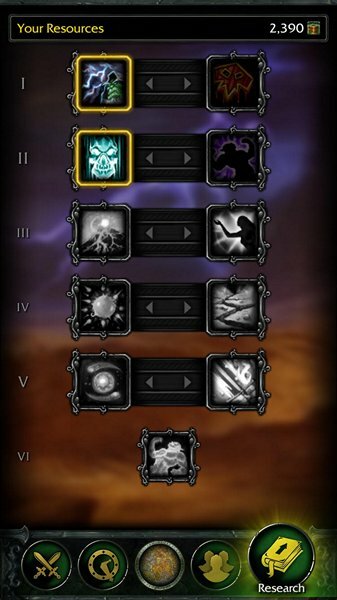 WoW Legion Companion is totally useless if you don’t play World of Warcraft, have the expansion, or have a character that has unlocked their Class Hall yet, so I felt it was kind of hard to rate. If I had to give it a star rating, it would undoubtedly be 5/5, but I feel that is akin to rating the phone or calculator base app. It does what it is supposed to do, so if you need that kind of utility it is fantastic, otherwise why are you reading this review?